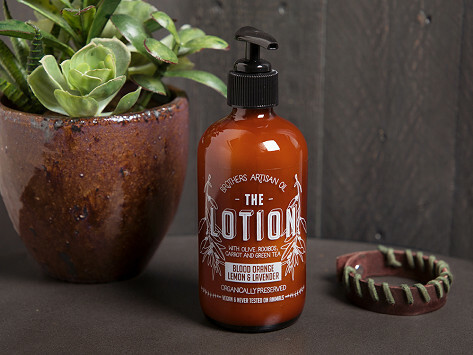 There’s nothing artificial added to this great smelling (and manly) body lotion. It’s Made in Boston in small batches with a blend of all-natural ingredients like green tea leaf extract, Vitamin E, and other essential oils that moisturize skin without feeling heavy. Made without artificial preservatives and fragrances, or synthetic chemicals. Dimensions: 2.5" x 2.5" x 6.5"
The product was great. The problem was my son could not get the pump to work . 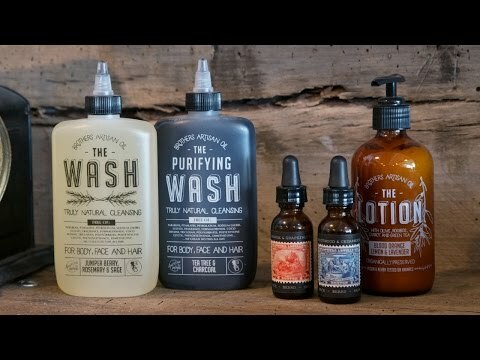 Mom is now doing great, and the brothers (and one wife) are still hard at work, creating the goods themselves, all by hand—and with the commitment to using only natural ingredients to help men feel and smell good.